Spring TX Real Estate: Sellers Closing Costs – what should you expect? If you ask a seller what’s the first question he has about selling his Spring Texas home, he will tell you its “How much am I going to net?”. Its not “How long is it going to take for my house to sell?” or “What do I have to do to get my house ready to sell?”. 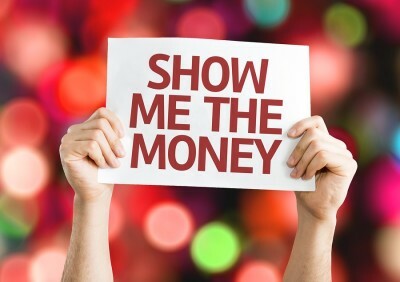 Its simply “SHOW ME THE MONEY”. And why wouldn’t it be the first question. Especially since the majority of reasons why people sell their homes and move are due to lifestyle decisions. Not because someone or something is making them move. They are moving simply because a different area or house would fit their lifestyle better. After you have reviewed comparable Spring TX homes, you and your Realtor should have a good idea of your home’s potential sales price. Now your Realtor should compute a seller’s estimated net proceeds sheet which will identify the closing costs you should expect. * Attorney’s Fees – The attorney is selected by the Title Company. He represents neither you nor the buyer. His fee is for the preparation of the closing documents and averages $150 – $250. * Courier & Express Mail Fees – The fee is charged by the Title Company and it is to cover expenses associated with shipping or transporting of documents. It averages $50. * Escrow Fee – Charged by the Title Company for their work associated with the closing of the real estate transaction. The escrow fee is a shared sellers and buyers expense with each party paying 50% of the fee. The escrow fee varies by Title Company with an average of $375 – $425 per side or $700 – $850 shared between the two parties. * Home Warranty – Its a negotiable item, but the majority of the time the buyer requests the seller to provide one. The basic home warranty costs $425. A hot tub or pool is another $150. If the home is over 5,000 square feet the basic home warranty costs $650. The seller pays the agreed upon fee and the buyer chooses the company that he wants to provide the home warranty. * Owner’s Title Policy – Its a negotiable item, but its typically considered to be a seller’s closing cost. The owner’s title policy protects the buyer in the event there is an attack on title. The policy is provided by the Title Company. Title policy rates are prescribed by the State Board of Insurance of the State of Texas. All Title Companies have to charge the same rate for the policy. The premium is $843 for the first $100,000 of coverage and $5.34 for each additional thousand dollars up to $1,000,000. * Realtors Fee – In Texas, the Realtor fee is paid by the seller at the time of closing. The Realtor Fee is divided between the listing agent, the listing agent’s broker, the buyer’s agent, and the buyer’s agent’s broker. * Prorated Real Estate Property Taxes – At closing the seller will provide the buyer with a prorated credit for the real estate taxes. The credit will cover the portion of the year that the seller owned the property. The prorated credit for the year’s real estate taxes DOES NOT come out of the escrow account held by your mortgage company. You will not receive the funds held in your escrow account until approximately six weeks after the date of closing. * Mortgage Interest – Interest on your mortgage loan from the first of the month to the day of closing. * Transfer Fee – Some of the HOAs for the newer Master Planned Communities in Spring Texas are charging a transfer fee of .25% of the Gross Selling Price. You can determine if your HOA charges a transfer fee by reviewing your community’s deed restrictions. * Seller’s contribution to Buyer’s Closing Costs – Is a negotiable sum agreed upon in the purchase contract whereby the seller agrees to pay some if not all of the buyer’s closing costs. The agreed upon amount can range anywhere from $0 to 6% of the sales price. To determine your net proceeds start with the projected Sales Price and subtract the total of the estimated closing costs and subtract the estimated payoff of your loan / mortgage. The remaining amount is your estimated net proceeds. Hopefully your net proceeds is a positive number. Because if it is a negative number, you will have to bring money to the closing table. Since I hold a B.S. degree in Accounting, estimating figures is a joy for me. The accuracy of my estimations are something I take sincere pride in. My Spring Texas home sellers are relieved when they receive the closing statement / HUD1 and my figures are dead on. I think it is because NO seller likes financial surprises. If you are thinking selling your Spring Texas home and are interested in additional details, call Jill Wente, Realtor with Better Homes and Gardens Gary Greene at 281.804.8626 for more information.